Have you ever tried a ready to drink cocktail and was disappointed that it tasted like a sugar drink or didn’t have enough kick because the alcohol was practically absent? You’re not alone – that’s typical. But not for Petaluma’s Sonoma Coast Spirits. They are breaking through and revolutionizing the twist and pour cocktail. Petalumans Jill and Doug Olson moved their fledgling pre-mixed cocktails operation into a space behind Petaluma Hills Brewing Company on North McDowell. Founded in 2011, as a 4th generation – family owned Sonoma County Distiller, they are busy producing their award-winning pre-mix cocktails. 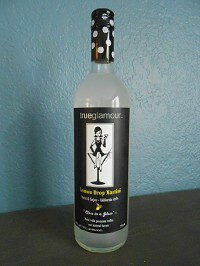 Wilibees Wines and Spirits, big supporters of locally produced beverages, is first to stock their potent 40-proof spirits including screw-top lemon drop martini. Recently they introduced Mango Tango and Pomegranate-Lime Craft Cocktails. For all you whiskey lovers, their Whiskey Sour will launch this fall. The philosophy behind their ready to drink cocktail line, is to produce high quality cocktails at 32 proof that are unique and flavorful that cannot be found elsewhere. These cocktails are perfect for those occasions where you are entertaining and don’t have time to mix cocktails but want a perfectly blended drink for your guests. 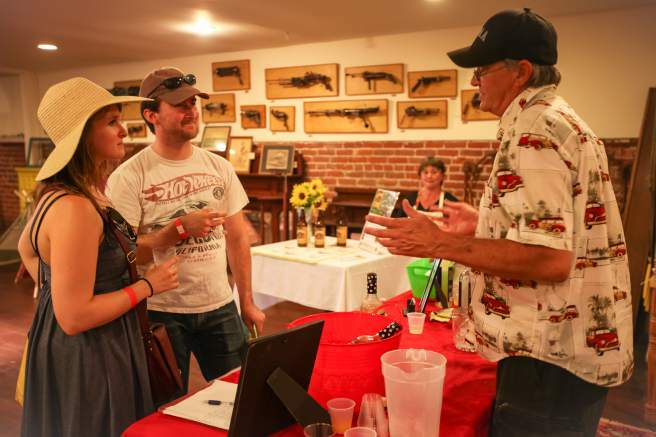 You can find Sonoma Coast Spirits busy pouring around Petaluma and the Bay Area at various events – We saw their booth this year at the Art & Garden Festival. Also expect to see them at the 2015 Taste of Petaluma. They give priority to support local charities and to give back to the community who has been so gracious in supporting their endeavor. Expect their flavors to be hitting other stores in Petaluma and the North Bay. Their new specialty liqueurs and whiskeys should be being launched in time for the holidays. For more information on upcoming tastings visit www.sonomacoastspirits.com. St. Helena: Sunshine Market; St. Helena Wine Shop. Santa Rosa: G&G Market; Oliver’s; Bottle Barn. Cotati: Oliver’s; Sacramento area: Nugget Markets.